Twitch has made a name for itself as the destination of choice for people who want to watch other people play games 7 Twitch Streamers to Watch If Esports Aren't Your Thing 7 Twitch Streamers to Watch If Esports Aren't Your Thing If you don't like eSports and you've written off Twitch as "not for you," it's time to reconsider. These entertaining Twitch streamers aren't associated with eSports in any way. Read More . However, the Amazon-owned company has decided it wants to switch things up a little, so it’s set to start selling games as well. Could Twitch pose a threat to Steam? If you want to watch someone playing a video game then you’ll probably head straight for Twitch. YouTube Gaming is always an option, but Twitch is most gamers’ streaming service of choice. And a new initiative which Twitch has named Get it on Twitch! will see Twitch trying to sell you games too. Get it on Twitch! means the game you’re watching being played will be available to buy directly from Twitch. That is if the developer and publisher of that particular game are on board. The likes of Ubisoft, Telltale Games, Double Fine Games, tinyBuild, Blue Mammoth Games, Paradox Interactive, and Vlambeer have all signed on the dotted line in time for launch. Any game you purchase will be either downloaded and played via the Twitch launcher, or available through an existing service such as Uplay. Payments are made using an Amazon account, and games will be available to buy anywhere in the world. However, at launch all prices will be listed in dollars. Partnered streamers will receive 5 percent of the revenue generated from their streams, with 70 percent going to the developer, and Twitch taking the remaining 25 percent. Anyone spending over $4.99 on a purchase will receive a Twitch Crate containing some form of digital loot. In a blog post detailing the new initiative, Twitch claims it has “always been the best place to watch, share, and play games. Soon, it will be the best place to buy games as well”. The former is probably true, but the latter is a bold claim given the options already available. Get it on Twitch! 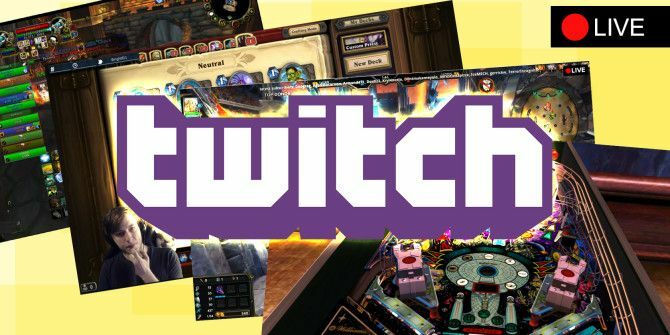 is set to launch within the next few months, and certainly adds another string to Twitch’s already impressive bow Could Twitch Be the Next Big Social Media Site? Could Twitch Be the Next Big Social Media Site? Twitch has been evolving into much more than just a haven for gamers. There are a number of great channels devoted to art and creativity. You can even find cooking streams! Read More . However, even with the backing of Amazon, Twitch will find it difficult to compete with Valve’s Steam, which is currently THE digital marketplace for PC games. Do you regularly frequent Twitch? What compels you to watch other people play games? Are you likely to start buying games from Twitch? Or will you be sticking with Steam? Is this a good way to help your favorite streamers? Please let us know in the comments below! I absolutely hate Twitch. I don't like its interface and I especially don't like the culture it creates, where streamers more or less beg for tips and create continuous on-screen distractions when someone donates to them. Twitch can die in a fire. But I will occasionally watch someone play video games on Youtube as a source of entertainment. Usually for a game that I'm not very good at or don't have time to immerse myself in playing, but sometimes just as background noise. There are Youtube Let's Play videos for almost everything, which has let me passively reconnect with some games I might've played in my youth. I actually have gone out and purchased games I have no intention of ever playing, just because I've enjoyed watching someone else play it on a stream.